Tennessee is one of the least gambling friendly states in the Union. State licensed gambling options in Tennessee amount to the state lottery and limited charitable gaming. Even social gaming is illegal in Tennessee. Residents of the Volunteer State are forced to seek their gambling entertainment across state borders in Mississippi or even further out in Missouri. Individuals in TN also have the option to visit licensed online gambling sites that accept players from Tennessee. This alternative is often the go to for those who are not in a position to travel each time they desire to engage in gambling activities. This page of our guide is dedicated to Tennesseans who are interested in learning more about their options for participating in legally sanctioned gambling both online and offline. We will provide insight into Tennessee’s gambling laws, and provide information about navigating the legal terrain in a way that results in access to legally licensed and regulated gambling entertainment. Our objective is to serve our visitors as a valuable resource guide that enables players to walk away empowered to make informed decisions regarding their involvement in responsible gambling activities. Our team of professionals here at legal betting online are not attempting to provide professional legal advice or services of any kind, nor are we attempting to present ourselves as attorneys. If you are seeking professional legal advice, we suggest you contact an attorney based in Tennessee who is familiar with the gambling laws there. Tennessee’s gambling laws make no mention of online gambling. Since the state has not expressly legalized state licensed online gambling as of yet, operating or owning an online gambling site within state borders is considered illegal gambling and is prohibited. This law does not extend beyond the state’s borders, and has no impact on Tennessee players who are interested in enjoying online gambling entertainment at qualified destinations. To be qualified as legally sanctioned, the gambling site must be legitimately licensed, posses compliance certifications and be subject to regulatory oversight from a respected governing jurisdiction outside of the United States. The gambling sites you see recommended on this page all qualify as legally sanctioned businesses. In addition, we have placed each of these gambling sites through an intense review process to also verify the quality of their performance, the reliability of their software solution, the effectiveness of their security profile, and their standard of operations concerning banking, and customer support, among other aspects. Participating in online betting at these sites does not violate state or federal gambling laws. Is Online Gambling Legal In TN? We understand how confusing it can be to interpret what the gambling laws mean in a specific state. As far as TN gambling is concerned, there are no specific state laws or federal regulations that prohibit online gambling in Tennessee. Nothing in the laws speak to the act of placing the bets. So you certainly can't be prosecuted for something that isn't deemed unlawful. At the end of the day lawmakers are going after the illegal gambling rings, not players themselves. And no player has ever been arrested for gambling online in the state. Bovada is a household name in the online gambling industry. Their parent company "Bodog" has been around since the inception of online gambling and has an absolute perfect reputation for being fair and always paying out winners in a timely manner. They are just a great site to call home if you enjoy online gambling. 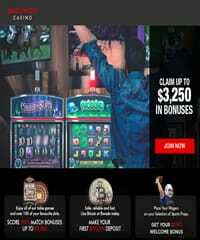 Claim $3,000 in casino bonuses or $250 at their sportsbook. Is It Legal To Play Online Casino Games For Real Money In Tennessee? Tennessee does not permit any type of commercial, tribal or state licensed online casino within its boundaries. This being the case, you will not find any type of state regulated online casinos legally operating in Tennessee. What you may not be aware of is that there are a number of legitimate online casinos that are licensed, regulated and located outside of the United States that offer their gaming services to players in the US, including those in Tennessee. These US friendly online casinos can legally offer their services to players around the world because they have specifically legalized online casino gambling within their respective territories. 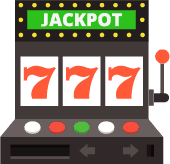 The online casinos we’ve recommended on this page are all legally sanctioned destinations that operate legitimately within the industry. They are also among the industry’s leading destinations for legal, high quality and secure online casino gambling. Is Sports Betting Legal In TN? We can’t actually blame Tennessee’s cold hearted posture towards gambling as the reason that state licensed online sports betting is not legal in the Volunteer State. In fact, it isn’t legal in any state due to the Federal Wire Act, which effectively prohibits US based online sports betting. While this law does criminalize online sportsbooks from springing up within the US, it has absolutely no impact that affects online sportsbooks that are licensed, regulated and located offshore. Tennessee residents are free to engage in online sports gambling through the legitimately licensed and regulated online bookmakers listed on this page. By restricting your betting action to these types of destinations, you are ensuring that you are not violating any type of state or federal gambling laws, including the Federal Wire Act. US federal laws do not extend beyond the borders of the United States, and have no impact on offshore gambling. Learn more in our legal online sports betting guide. Is It Legal To Play Online Poker In Tennessee? Tennessee seems to almost have an animosity towards the game of poker. There are no live poker or social poker exemptions within Tennessee’s gambling laws, and the Governor has previously gone out of his way to issue an official opinion concerning the legal status of poker, clarifying that it is illegal to play poker in just about any situation. The one poker platform that the state’s governmental framework cannot influence is legally licensed offshore poker. It is not a violation of state or federal laws to participate in legally licensed and regulated online poker that is based outside of USA borders. All of the poker sites on this page fall into this category, and have been vetted by our team of professional gambling analysts. Along with being legally sanctioned online gambling destinations, we have also categorized this handful of poker sites as being among the best that the industry has to offer. They each deliver a premium, feature rich gaming performance using a highly secure and well developed gaming environment. The bonus offers are legitimate and generous, and their security profiles rival that of the world’s most prestigious financial institutions. Will Tennessee Ever Legalize State Licensed Online Gambling? Tennessee is one of those states that has postured themselves as a strongly anti-gambling region. We would be very surprised to see this state make a move towards legalizing any type of state licensed online gambling entertainment. This would be particularly surprising after their efforts to classify DFS as illegal gambling. We won’t say that they will never embrace a state sponsored online gambling initiative, we just think it will take a significant amount of time and specific changes in state government before discussions would begin to surface. Since The State Is so Against Gambling, Will I Get Arrested For Gambling Online In TN? The answer to this question depends heavily on where you intend to place your bets online. If you take our recommendations to restrict your online gambling to only those destinations that are legally licensed and regulated, and are located offshore, then you don’t have anything to worry about. It is not a violation of state or federal laws to enjoy online gambling at offshore betting sites that are legally licensed and regulated. What Is The Legal Gambling Age in Tennessee? For both charitable gaming and playing the lottery, the minimum legal gambling age in Tennessee is 18. When pari-mutuel wagering was previously legal, the legal minimum age to participate was also 18 and we suspect that if it is revived in the state that it will once again be 18. Most of the sites we recommend allow players to sign up an account and gamble for real money at 18. Is It Safe For Tennessee Residents To Gamble Online? Online gambling is actually really safe as long as you play with the big names in the industry who take security and privacy seriously. There are a lot more gambling sites available to players other than those we recommend on our website. But we choose to only list the biggest and most reputable names in the industry who we know for a fact have the best security protocols in place and are more less just really solid choices for players. Nearly all of the problems surrounding safety and security come from players who choose to play at some fly by night casino who's sole intention is to steal data and money. So we are keen on really hammering home that half the battle for staying safe online is to choose a reputable company to gamble at. Play with only reputable online casinos, poker rooms and sportsbooks. This will ensure that you are being dealt with in a fair manner and that you will actually get paid when you win. Make sure to use virus and malware protection at all times. I personally use AVG antivirus coupled with Malwarebytes, and I've never had a virus or been hacked. Don't use the same password for all of your logins.